This reinforced leather Belt does the trick as it is. But should you want to switch it out for your statement-making longhorn buckle, snaps let you do that. Either way, the handsome embossed leather looks great with all you wear. 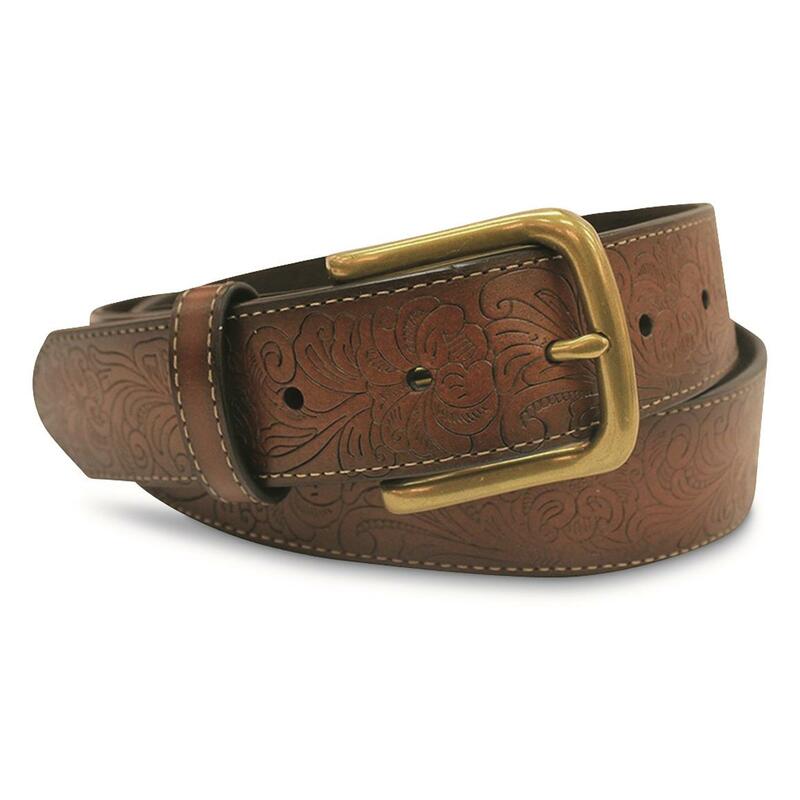 Order this leather belt today! 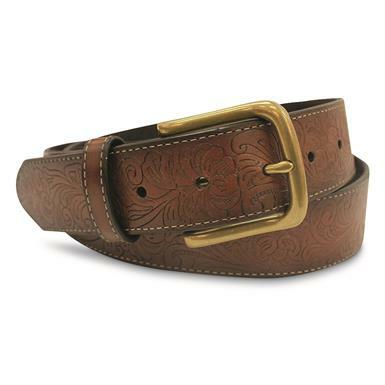 Guide Gear Interchangeable Embossed Leather Belt is rated 3.0 out of 5 by 2. Rated 1 out of 5 by Jack from Belt no where near up to expectations. Leather quality is poor. Size is at least 2" too small.